This is a slightly odd blogpost to do, but I thought it was applicable and a bit of a fun tag to do! First thing I really learnt from youtube was blending. Blending out eyeshadows, blending in my foundation, my blush…you get the idea! Learning how to get rid of those hard lines and soften the overall look of my makeup. It has made a massive difference. It’s OK to be experimental with my makeup! From using lots of different colours on my eyes, or wearing that bright lipstick. 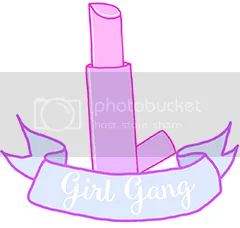 It’s OK to play with your makeup, we don’t all have to look the same! Setting Powder. Or more precisely, only using setting powder where I need it. So on my oily T-zone and slightly on the cheeks. It has stopped the cake face look. Discovering buffing brushes and beauty sponges. Buffing brushes were a utter revelation to me. The difference in application between a flat foundation brush and a good buffing brush was huge! No more lines here! Then came the beauty sponge, after a while of figuring out how to use it best, I don’t think I would be without my beauty sponge! I use it to apply my thicker liquid foundations, or after I’ve set my face I’ll use it to stop the cake face if I’ve over powdered. It’s just a great tool to have. Cleansing my makeup brushes. This may seem like an obvious thing to do for most people. For the longest time I never washed any of the makeup brushes I owned. To be fair I rarely used them. Now I was my makeup brushes every week and I’ve my mac brush cleanser to use for spot cleaning. Again a bit of a revelation for me. Double cleanse has now entered my vocabulary. My skin care routine was pretty much the same as it always had been. I didn’t think about the need to have something to remove my makeup and then another product to actually clean my skin. I was using a face wash that dried my skin terribly and just about remembering to use a moisturiser! Learning how to use eyeshadow as an eyeliner. Using a damp liner brush on a coloured eyeshadow, just to add that pop of colour to a neutral eyelook. It’s such an easy thing to do but it really brightens a simple makeup look! In regards to actually running a youtube channel and the same applies to blogging, the most important thing for me, prep. I keep a notebook with me to jot down ideas on the go. I can also make notes on products I’m testing out each time I use them. Basically, plan what you’re going to say/write, that way you won’t miss that point you really wanted to make. I’ve been introduced to so many different beauty brands that I just won’t have either heard about, or noticed, if it hadn’t been for youtube and blogging. There is an excellent resource within the beauty community, generally someone has tried the product you had your eye on, you just have to find that review! Finally, I’ve learnt that I belong somewhere. My love of makeup, my adoration of skin care, I’M NOT ALONE! I take part in the regular beauty blogger chats – although not so much as the minute due to wedding planning. When I do get to take part, it’s great, I’ve discovered wonderful bloggers and youtubers. It feels wonderful to be part of that community. 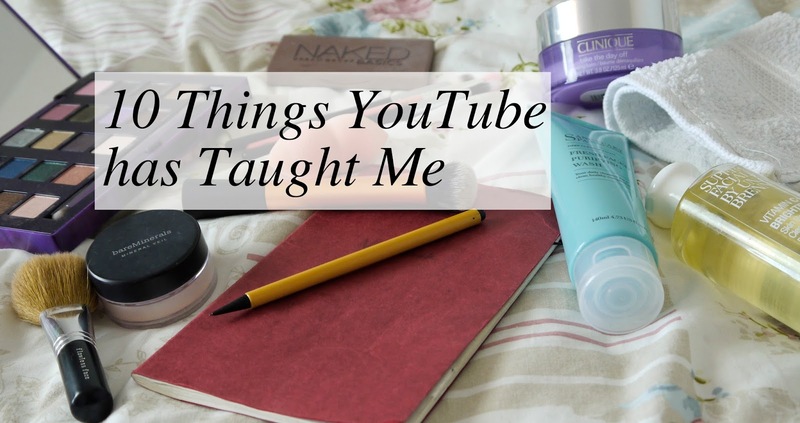 So what have you learnt from youtube or blogs? Let me know! You can watch my video below if you fancy.